MixedBag is working with Adventure Productions and C.I.N.I.C. Games to bring point and click adventure game The Wardrobe to Nintendo Switch. The Wardrobe will be out July 6 at Nintendo eShop in North America and Europe. The game is currently on pre-order for 12.74$ / 12.74€ and will become 14.99$ / 14.99€ when it launches. Check out the details and launch trailer below. 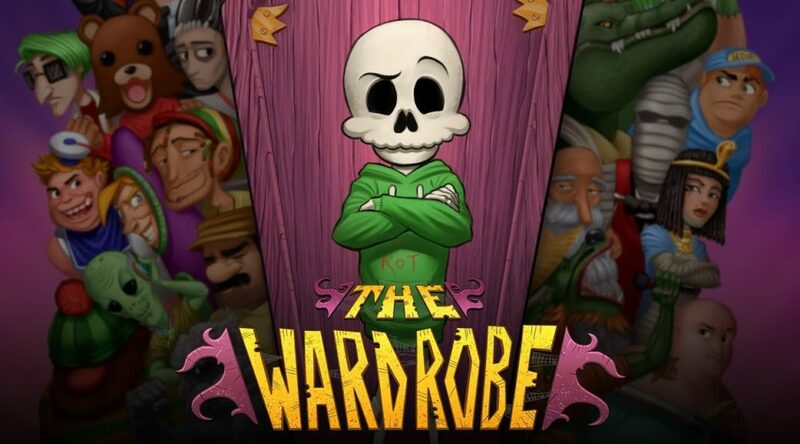 The Wardrobe is a 2D point & click adventure game in which you play as Skinny, a teen-skeleton with an impertinent attitude and a sparkling wit, willing to do anything to save his best friend’s soul from eternal damnation! -A visually-rich 2D point & click adventure game which pays tribute to the pop culture through a myriad of references. -Inspired by the great ‘90s classics such as ‘Monkey Island’, ‘Day of the Tentacle’ and ‘Sam & Max: Hit the Road’, the game has a strong sense of humour and isn’t shy about dealing with mature and non-politically correct themes. -More than 40 hand-illustrated and digitally colored locations, populated with more than 70 characters. -Four types of actions for each hotspot and dialogues with multiple choices (full of funny answers to try)! -Dozens of clever puzzles and many inventory objects to collect!